How are you doing with your New Year's resolutions? According to a Nielson survey, on average, only 64% of you are still keeping them (the percentage of people who last more than a month). Fewer than half (40%) of people's resolutions will still be in place come July 1. And only 14% of people over 50 actually achieve what they resolve to do. Younger people fare better, with 39% reporting success with their resolutions. Finishing Sweet Entanglement, the book I'm currently working on for the multi-author Indigo Bay series. It will be released early summer. Putting together a new book proposal for Love Inspired, set in the Catskill Mountains. Writing a single dad novella for a multi-author book bundle that will be out in the fall. Adding to my Team Macachek series, with a Christmas novella. In my personal life, I'm enjoying my family, my friends, and my volunteer work to the fullest. I'll also be enjoying a milestone birthday this year, but I won't say what one. And on the immediate horizon, I'll be enjoying the Sweet Romance Reads Cafe's Valentine's Party on Facebook tomorrow. Catch me there hosting from two to three. Be aware that new Facebook rules limits party participation to Sweet Romance Reads Cafe members only. If you don't already belong, the link to the Cafe to join is below. 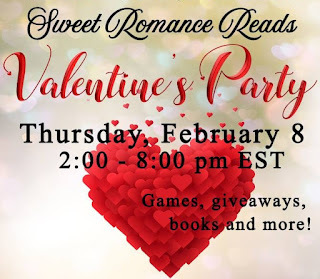 Don't miss any of the party fun--games, giveaways, books, and more. Grand prize is a $25 Amazon gift card! I love the word you picked, Jean. 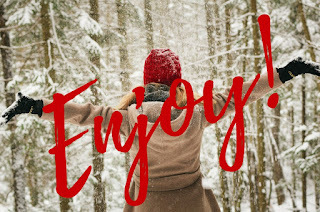 Sounds like you'll be busy writing this year, but taking time to enjoy. See you at our Facebook party! 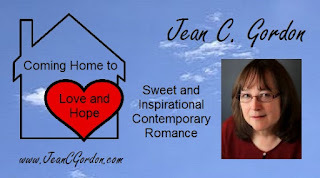 Great post, Jean! I like the idea of enjoying what you're working on and not worrying about resolutions. I love your word for the year, Jean. Great post. Great post, Jean! And so true. Jean, I'm with you. I don't make any. Enjoying life is the key. You sound like you're busy enjoying life.